Rodney was the production crew chief since 2013. He has several years of experience following the certifications from the Institute of Inspection Cleaning and Restoration Certification (IICRC): Water Removal Technician. 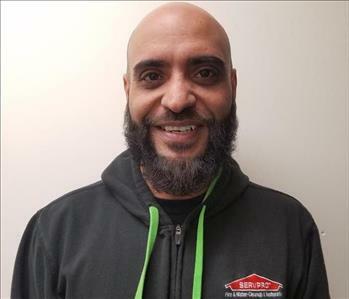 Rodney has mastered the SERVPRO Employee training program with high marks in crew leadership, fire,water, upholstery, and carpet restoration. he has also completed the commercial restoration program. The natural next step for Rodney was to become sales and marketing manager in 2017. Rodney knows SERVPRO. Marketing comes second nature to him. The customers who already know him have built a trusting rapport with him and he continues to get referrals from their family and friends. When Rodney shows up to their door, they breath a sign of relief because they know help is on the way. On a personal level, Rodney is a great dad and teacher of children. 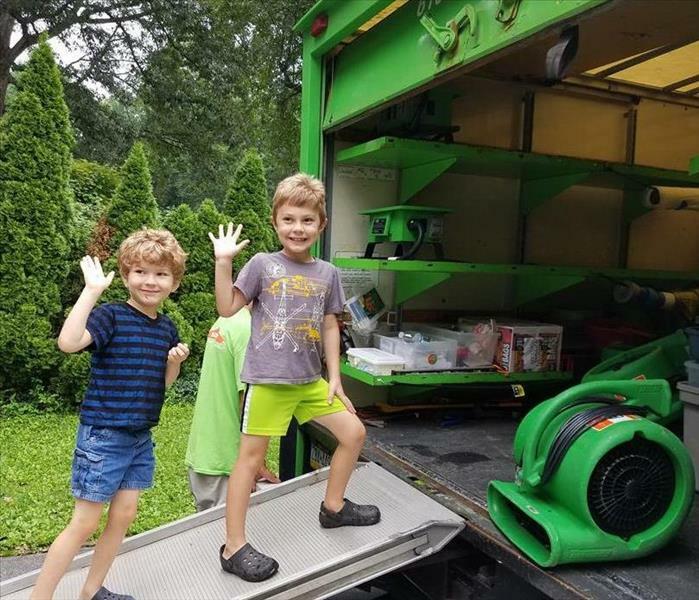 In the summer, he teaches SERVPRO tips, tricks and techniques to his kids as so they learn the value of hard work. Peter is a chip off the old block. Peter has been working for SERVPRO with his dad since day 1. Peter has completed the employee training programs as well as on the job training during the summers/holidays and breaks. Peter is highly intelligent, well trained by his father in construction and has a natural gift and understanding of SERVPRO which no one taught him. 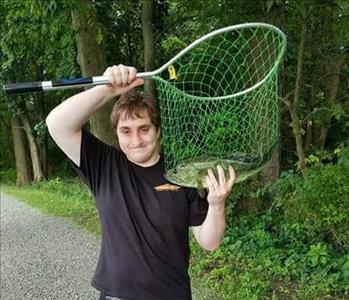 He is just a natural! Peter is well liked by his team and they know they can get the job done faster with him around because he is young and strong. On a personal note, Peter is dedicated to following in the footsteps of his father since he sees him as a "GREAT" man and teacher. Peter has an insatiable love for fishing and being on the sea, like his father. His brother John is following in his fathers footsteps however, he will not allow us to take his picture and post his crew photo. Madeleine is our Office Team Lead and Marketing Coordinator for SERVPRO of Wyomissing. Madeleine’s outgoing personality and reliability makes her a welcomed staple in our office everyday! She is always the first to talk to customers and makes sure to keep the crew informed. Madeleine is also the one behind the computer growing our social media presence to spread the SERVPRO way. 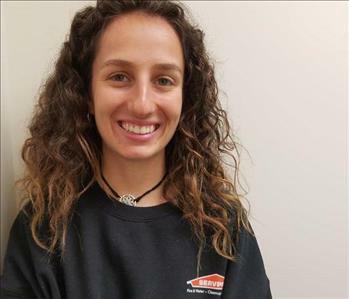 As a new hire, Madeleine lends a hand wherever she can to learn all of the ins-and-outs of SERVPRO. 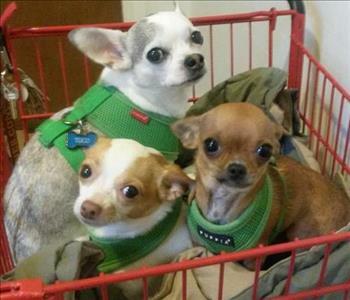 Tuco, Sancho and Cabo have the traditional SERVPRO green sweater, harness and name badge. They are SERVPRO Ready at any time to visit an elderly customer looking for a friend lap dog. They are very personable and enjoy visiting SERVPRO customers during the year. UPDATE:Tuco has been reassigned to assist the other SERVPRO doggies in heaven in January 2019. We will miss him greatly.